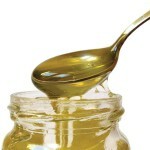 Alejandro Nicol is an expert in the honey business. After studying beekeeping for two years at Ohio State University, he now advises the Ministerio de Agricultura, Ganadería y Alimentación (MAGA) on the care, feeding, export, import and preservation of bees. I met him at the scenic and beautiful Vivero La Escalonia, a plant nursery and café, about two blocks south of the Mesón Panza Verde Hotel & Restaurant in La Antigua Guatemala. Nicol explained he no longer owns any hives himself, but supplies honey to stores in Antigua through his contacts. I asked him to fill me in on how honey and bees are faring in Guatemala. 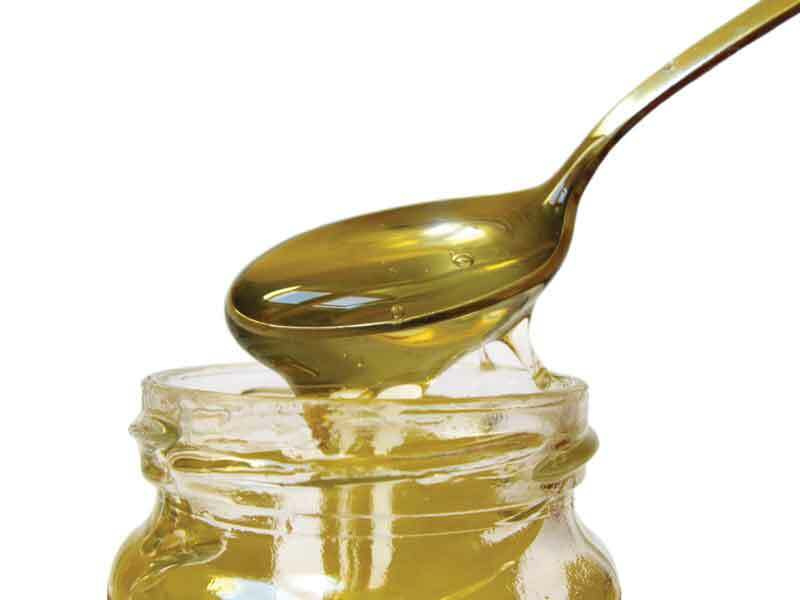 But first, some background: not only is honey an ingredient sometimes used in desserts or to coat the kids’ cornflakes, bees and honey contribute $l5 billion worldwide in added crop value. Without bees to pollinate flowering plants and trees, we wouldn’t have almonds, tomatoes, cherries, apples, nuts of all kinds and many, many other fruits and vegetables. Nicol said research shows that one out of three mouthfuls we eat has something to do with the pollination of plants by bees. In the United States and Europe bees have recently been hit by a disease known as colony collapse disorder. 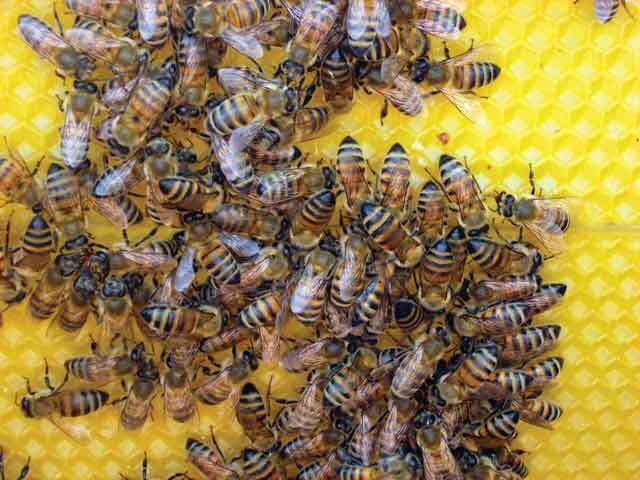 The disorder causes worker bees and drones to abandon their hives, leaving the queen, honey and young larvae behind. As yet, the exact cause is unknown. Through studies on the few bodies found, experts can’t trace their disappearance and death to any specific cause but rather a variety of possibilities, including bad water, crop fields that didn’t provide enough nourishment, chemicals, parasites and stress. Last year, the United States managed to pollinate numerous orchards and fields by shipping bees cross-country and renting them to farmers who were victims of colony collapse. Another bad season for the bees could wipe out billions of dollars in unpollinated crops. So where does this leave us in Guatemala? Besides the larger producers, this is a land of small subsistence farmers, who make a marginal living growing coffee. The price of coffee fluctuates so that some years, the farmers can’t support their families. Nicol explained that beekeeping is a natural sideline for such farmers. It takes very little land for the hives, and startup costs are relatively low. 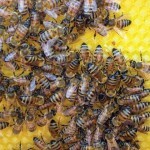 The bees fly in a three-mile radius from the hive, pollinating flowers and crops. This is a plus for everyone. However, many farmers start with too few hives and can’t break even. Nicol also noted that at least half the population in Guatemala is under 21. He said older farmers cling to their often-outdated ways while younger people are more receptive to learning new methods to raise bees more efficiently. In Honduras, a large NGO, Heifer International (www.heifer.org) which in conjunction with Cooperativa Apícola Pionera de Honduras Limitada (COAPIHI), a local cooperative, trains the local population in beekeeping. Participants say the program is quite successful. Editor note: Stay tuned in future issues for more about honey and a first-ever in La Antigua, a Fiesta de la Miel. I’m looking for bulk quantiy of natural hoeny. Can some one provide me information in this regard. How much are you interested in buying? We have premium harvested in Guatemala. Hello I’m interested in importing honey to the U.S. and being a Guatemalan national I know that the quality of our honey is superb. I need a contact or supplier and I look forward to hearing from anyone that is interested in doing honest business. Se pueden comunicar via correo electronico y les doy las gracias por su atencion.